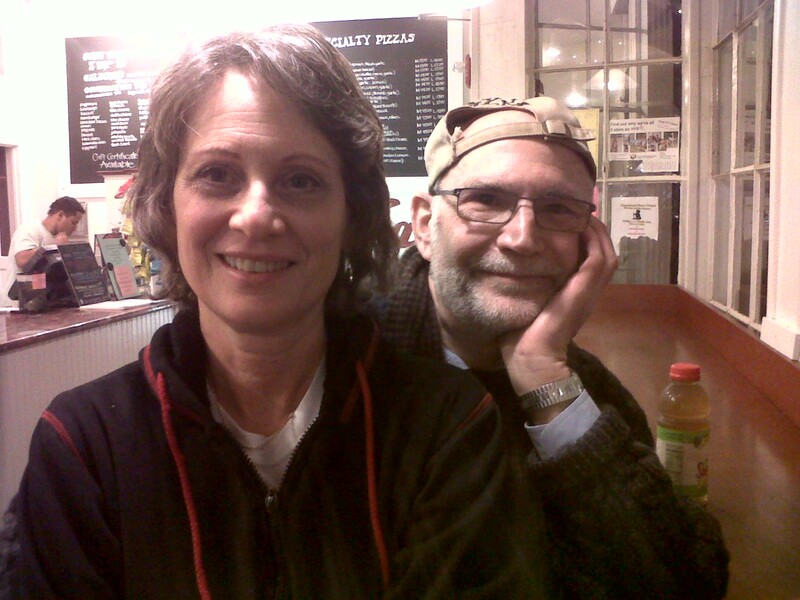 Sara Winer is like a second mother to me. She is my mother’s best friend from Boston where my family used to live. They raised their families side by side, but when our family moved to Montreal, they made sure to stay in touch and we have spent countless years celebrating the Jewish holidays together. As the years have passed and Sara and Marc’s three sons have grown into adults, Sara herself has become a Bubbie to three grandchildren (as my own mother watched in both awe and envy- still waiting to be crowned a grandmother). Better than heaven! It is comfort food at it’s best. I love the golden brown noodles that would stick out the top. [I always choose] the corner piece of course. All I can do is think about how awesome it is…It feels like love from my mom, which is what it is. I feel like a kid thinking about it. I have never even tried to make it, but I have been with her many times when she has. The recipe seems simple enough, and I’m sure I could do it myself, but it would not nearly be as good as mom’s. I think it’s bubbie Ida’s recipe if I’m not mistaken, but it is one of those things you don’t mess with. Even mom still cooks with the recipe card just to make sure. So Sara, where did the recipe originate? This recipe was given to me by my dear mother-in-law, (Bubbie Ida) and she received it from a caterer. Story is that she went to some affair and loved the kugel and asked the caterer to share the recipe with her and they did!! Has the recipe changed at all over the years? Over the years the recipe has changed very little. However, I once made it and ran out of corn flake crumbs so I took a cup of frosted flakes and processed them in the food processor and added some cinnamon before topping the kugel. I’ve also substituted the sour cream when I forgot to buy it, with a container of whipped cream cheese and that was also delicious. Can you share the recipe with us? Preheat oven to 350. In a large pot, boil noodles for 6-7 minutes until soft, drain the noodles. Meanwhile melt the butter and mix the butter with the noodles. In a large bowl mix together the remainder of ingredients (sour cream, cottage cheese, milk, eggs, vanilla salt) and combine mixture with noodles. Pour into large pyrex baking dish. Next, start on the topping. 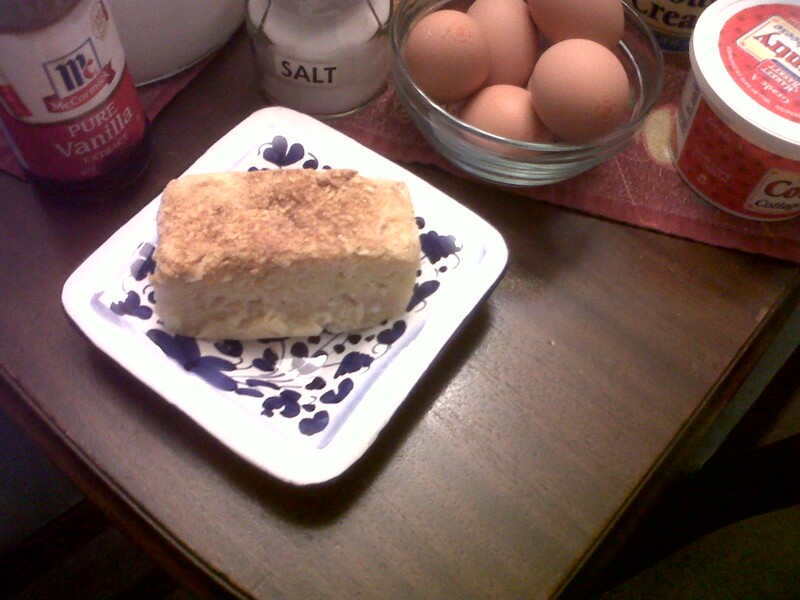 In a bowl, mix eggs and milk very well, pour gently over uncooked kugel. 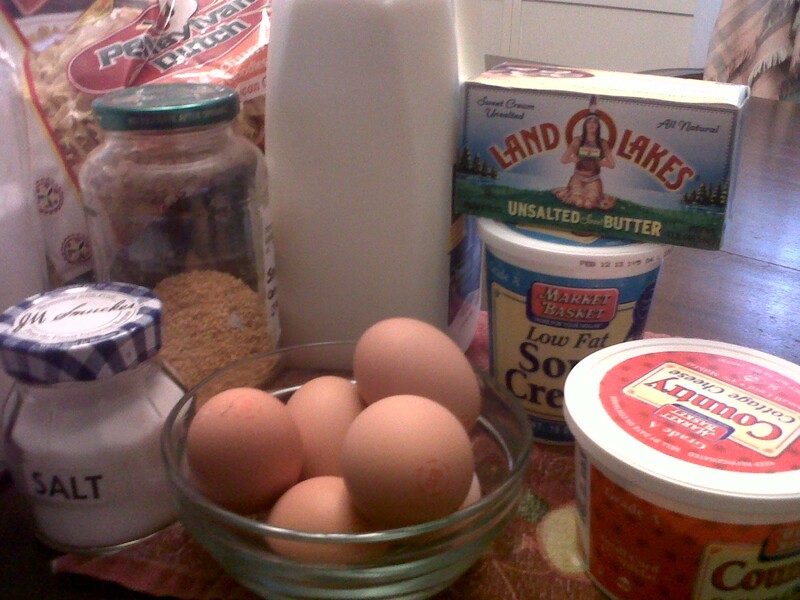 Meanwhile combine 1 cup of cornflake crumbs with 1 Tbs sugar and 1 tsp cinnamon. Sprinkle over the top of the kugel. Bake kugel for one hour at 350 degrees. Serve with a dollop of yogurt or sour cream. Enjoy! This is the best kugel ever – I can attest to the origin as Bubbe Ida was my mother. The only difference is the kugel is just a bit sweeter when it’s made by Sara Winer – she’s just the best ever! It was extremely touching for me to see this and I thank you.